Key difference: Aikido is a Japanese form of self-defense and martial art forms, whereas Tai Chi is a Chinese form of self-meditative exercise and martial art. The generic term 'aikido' was coined in the twentieth century. “Aikido” was created by Morihei Ueshiba (14 December 1883 – 26 April 1969), who is referred as Ōsensei ("Great Teacher") by some aikido practitioners. 道 – dō – way, path. Aikido is a Japanese art form, formed by Morihei Ueshiba as a synthesis of his martial studies, philosophy, and religious beliefs. The word means as "the Way of unifying (with) life energy" or as "the Way of harmonious spirit." It is a martial art form practiced for self-defense, in this the practitioner have to protect him/her self from the attacker. Aikido is performed by blending with the motion of the attacker and redirecting the force of the attack rather than opposing it head-on. The martial art forms need the opponent’s momentum or his/her movement, according to which the actions are performed and implemented. Its technique includes all the twisting, turning movements along with the various throws or joint locks. 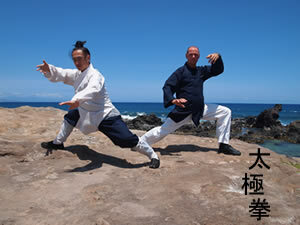 Tai Chi also, "T'ai Chi Ch'uan" or Taijiquan was influenced from the Taoist and Buddhist monasteries. The term means as "supreme ultimate fist", "boundless fist", "supreme ultimate boxing" or "great extremes boxing". 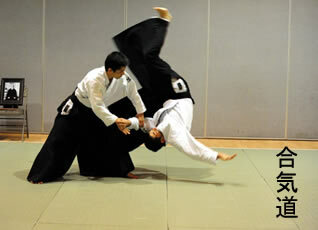 A Japanese form of self-defense and martial art that uses locks, holds, throws, and the opponent's own movements. It is wholly a martial art form, performed for self-defense. It is martial as well as the exercise form of art. Here, the movements come from a balanced center, using a unique sliding footwork. Here, the movements come from majority of weight on one foot. It is not associated with the internal meditations. It is associated with the internal meditations.